With this setup.. only the 1st Primary own all the forms. 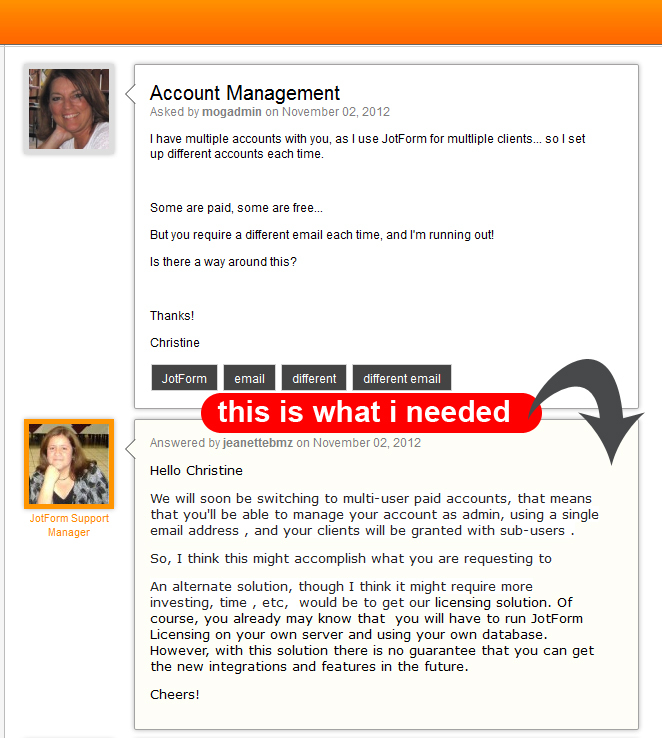 This is a multi jotform user paid account setup. Will this do? Tell us more if not exactly what you need. This is a very old thread and may not be updated anymore with the current Form Builder. Provide as much details as you can on your inquiry. We will attend to it as soon as we can.